All orders shipped outside of the United States are shipped through MyUs, an international shipping service. The MyUS Service is available to more than 220 countries and territories including Australia, Egypt, Taiwan, New Zealand, Angola, United Kingdom, Ireland, Serbia, Turkey, Israel, Bahrain, Pakistan, Canada, United Arab Emirates and Japan. This service provides you with a US-based address at a facility in the United States. MyUs will assist you with setting up and shipping to this address. As a member, you instantly get a MyUS address that ships directly to a USA facility. When you are ready to ship, MyUS will consolidate your packages into one shipment, saving you up to 80%. It couldn't be easier. PLEASE READ: To ship Internationally, with MyUS and our website you will need to create a 'PREMIUM' Membership with MyUs. This will enable the Personal Shopper Feature needed to complete your order. There is a small membership fee per month but your membership can be cancelled at any time after your items are delivered to your location. 2. Click on 'LOGIN' and then click 'REGISTER'. 3. To use the Personal Shopper Service select 'PREMIUM' and 'Sign Up'. 4. Create New Account with your information and save credentials. 5. Log into New Account. 6. Click on 'Personal Shopper' at the top of your Account. 7. Click on 'Order Now'. 8. Use our website address and the item information you would like to order and click 'Add to Shopping Cart'. 9. Follow shopping cart steps through to 'Order & Pay'. 10. After you submit your request, a Personal Shopper completes the purchase. Once the merchandise arrives at their distribution center, it will appear in your Inbox and be available for shipment. 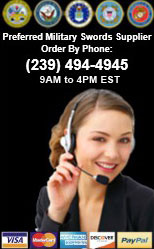 The Personal Shopper Department is available by phone or email Monday through Friday 9:00 am to 5:00 pm EST. Contact MyUs by LiveChat: This is the easiest way. Contact MyUs Online: Click the FAQ or Contact links at the bottom of the MyUs webpage. How Does the Personal Shopper Service Work?